• Insight into the functioning of the B memory cells, which account for the persistence of allergies even in the absence of new exposure. • Which herbs inhibit IgE production in Dr. Li’s food allergy formula. • How T-helper cells switch from producing allergic and non-allergic antibodies. • Epigenetics and the possibility of reducing allergic tendencies in children. Also, thanks to Denise for her very kind review of my book about Dr. Li’s work. I grew up in China and I saw how TCM did amazing things to my family. TCM and western medicine are based on different concepts and it is hard to convince each other. 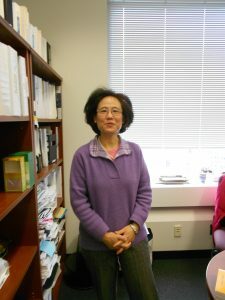 Dr. Li may not be the only one who got trained in both, but what makes me admire her is that she is the one who brings this (combine both TCM and western medicine) to world stage and works very hard on what she believes, even if it is a long journey. She has a vision that this is an important course that could be beneficial to so many people. She is my hero. Also, Henry Ehrlich, thank you very much for your support!!! Thank you for your kind words. I passed your message along to Dr. Li and she is very pleased. Please stay in touch.